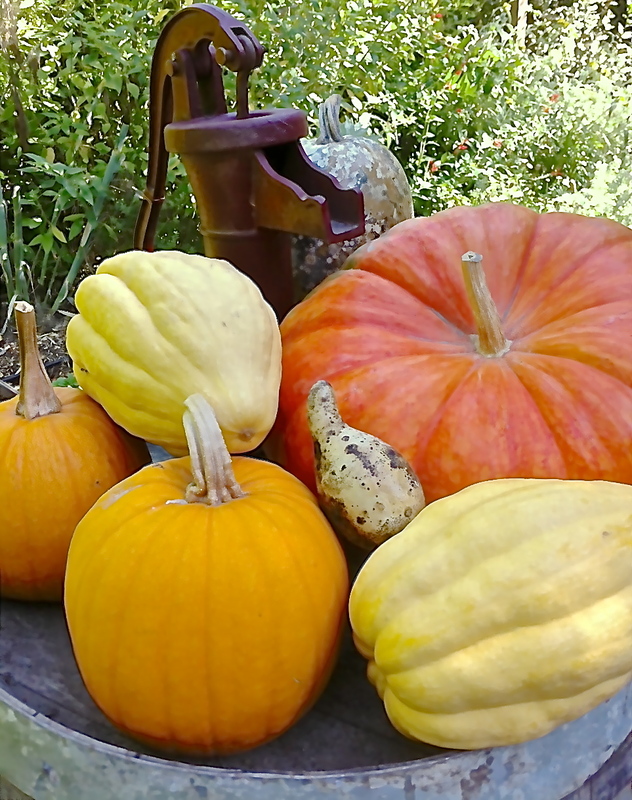 Huge autumn energy swirls around Sonoma County and everyone’s county; from huge pumpkins gussied up for blue ribbons to crispy air at dawn, we gather our harvests. While checking in our friends I have found it’s been a great year for tomatoes; everyone’s canning tomato sauce and pasting figs. Today I paid my annual visit to the pumpkin dude down the hill near one of the local CSAs. He’s my go-to guy for sugar and princess pumpkins. This year he’s trying a new winter squash varietal, cream acorn squash. My wife is planning on a risotto with the cream squash and I baked off a sugar pumpkin for this Pumpkin Spice cookie test. The three recipes that I selected all use the same sugar pumpkin. Two of the recipes are fairly similar, though I think the tasters will come up with some differences; while the third recipe is billed as a sandwich cookie. I’ll be constructing cookie sandwiches and individual cookies for each recipe. Before baking the pumpkin, I scraped out the seeds, cleaned away the excess pulp from the seeds and then baked the seeds after mixing in a bit of olive oil and soy sauce. This is a very addicting snack and a good fall kick-off taste. After baking off the pumpkin, I scrapped out the meat and blended it thoroughly in a food processor. The differences in proportions of ingredients is not as great as the with the Maple Pecan shortbread, but there are still some notable differences. 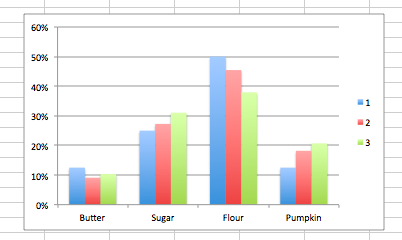 While recipe #1 has equal percentages of butter and pumpkin recipes #2 and #3 have twice the proportion of pumpkin to butter. As for sugar to flour proportions, recipe #1 as twice as much flour to sugar while the percentage difference decreases somewhat for recipe #2 and by quite a bit in recipe #3. Six more taster families received cookies today and comments are already coming in. I baked off one test sample today to send off to a visiting friend of a friend, while all my other tasters will receive their test cookies early next week. Stay tuned. I sent the rest of the cookies out to seven taster families today. Many comments have already been entered into this blog. Tabatha's enthusiastic and festive family set up a beautiful tasting table to set the mood for some very serious palate work!